As she swirls her way through the ballroom, you can’t miss noticing her every move. With the flick of her finger, the music of tango fills the room. She gently glides through the room with a new student as her partner, completing each step with poise and allure. The audience, of course is left enthralled by her movements and slowly join her on the floor, following her every move slowly. This is not a scene from Remo D’Souza’s latest dance flick ABCD 2. But a one from Kiran Sawhney’s evening tango class. The 45-year-old Delhi-based mompreneur is busy instructing her class of young tango dancers for an upcoming competition. As she wraps up her hour-long class with a motivational quote, she sits down to tell us that keeping oneself busy is the best profession in the world. So Kiran, how does it feel playing super mum? Motherhood has been a beautiful experience. 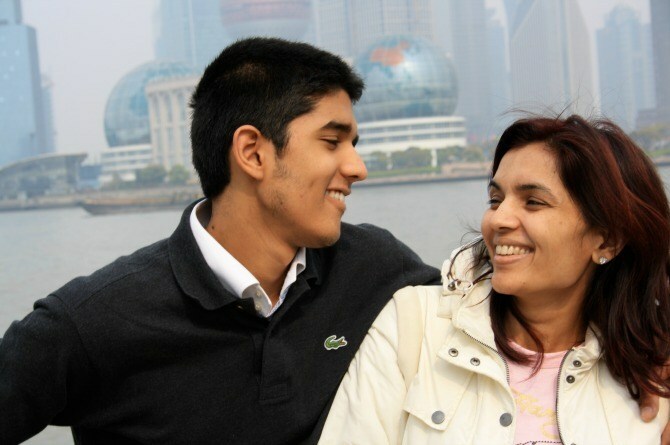 I have two lovely young boys; Sarthi is 23 and Siddharth is 22. They have changed my life . Even though I had them both at a very young age, I do not think that motherhood has in any way impeded on my passion for dance and fitness. In fact, my family has been quite supportive of my profession and they encourage and motivate me to work harder each day. A push that motherhood gave me, apart the unconditional love I like to shower on my boys, is the ability to help other children who have been less fortunate with respect to a family. I work closely with a children’s NGO in Delhi and teach the kids there about fitness and dance. It has been a great experience and has helped me become a much better person. Kindly tell us about yourself. 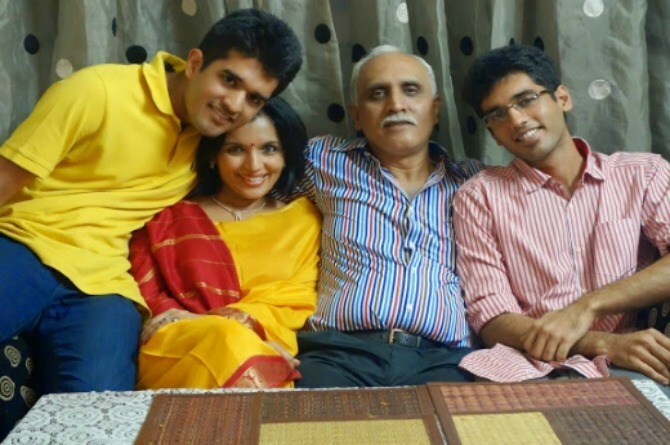 I am a post graduate and was brought up in Punjab and got married in Delhi in 1991. Within two years of my marriage, I had my two boys. Bringing them up was difficult since I was a young mother. But I was dedicated to raising good human beings. I was looking after them while my husband, Sanjeev was busy with his work. Initially, I stayed at home and was a full time mother. My children were my only priority. But in 1995, I decided to start something of my own. So I started working as a personal trainer. Since I wanted to spend ample amount of time with my family as well, I would work for a few hours. Later, when my boys started going to school, I worked only when they were at school. As they grew older, they needed me less so I expanded my work. I found the Fitnesolution and then a tango school named New Delhi Tango School (NDTS). My studio is at home. I have always preferred working from home so I could look after my home, family and work. I got many offers to expand it more and open centres in other places and other cities. But I am clear about my priorities. What’s a typical day like in your life? Now that my children are all grown up and working, they are able to take care of themselves. I no longer have to run around or send them to school anymore. I do not have to teach them or play with them anymore as I used to when they were small. Although, I’ll confess, I do miss that time when they were babies. On weekdays, I am busy with my fitness centre in the mornings and evenings. In my spare time during afternoons and late evenings, I prefer spending it at the NGO. On some days, I might even spend sometime with my friends. During weekends for an hour and a half, I take tango classes. I think, I am to manage my time well between being a parent and a professional. This ability to manage time comes naturally to mothers. If you were to create a pie chart of your life, how would your time be divided between work, spouse, kids, friends, and self? I am able to do justice to my family, home and work by prioritising my chores. I take few breaks in a year to travel with my family. I do take out time to socialise with friends and I am a workaholic. I am good at multi-tasking and I think I am able to handle all fronts efficiently. A pie chart would overlap and show equal time and priorities given to family (spouse and kids), home, work, friends and self. Since I always try to balance my work and personal life, I never really faced any challenges. My work is very important, considering it stems from my passion for fitness and dance. I enjoy my work of making people fit and seeing happy faces during our dance sessions. But I also make sure that I spend enough time with my family. What has been your biggest emotional struggle while bringing up both, your career and kids? On a personal front, my effort has always been to make sure that the needs of my children are met. In addition, I wanted to turn my passion into a career. So with the support of my family, I was able to balance both. Creatively of course, it’s always good to be on your toes. Therefore, my goal has always been to ideate more, whether it is for dancing or coming up with new fitness regimes for my clients. Apart from my work and family, if there was one thing that I could do more was to help the underprivileged children. Never. I have created a fine balance with work and family. My working hours are flexible and during my work, I only meet happy people. My work is a stress-buster, not something that gives me stress. Working from home has been another advantage for me. 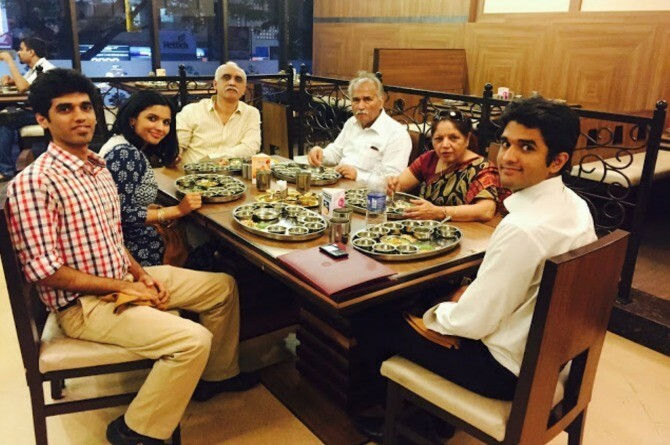 Continue reading and know more about Kiran Sawhney’s ‘me’ time! Who has been your sounding board throughout your journey? There are a few people who are fortunate enough to experience a balanced life. I feel blessed to be one of them. My faith in God has helped me throughout my life. Therefore, for me, the sounding board in my life’s journey has been the Almighty. I teach tango during the weekend. Besides that, evenings are mostly spent with the family. I like reading, meditating and traveling.All this completes and fulfills me. So, I make sure that I indulge in all these activities whenever I get time. However, the one constant activity for me is meditation. I meditate every day. It gives me some ‘me’ time. I really like spending time with myself and I would find ways to spend it constructively. What does ‘being a mom’ mean to you? Being a mom means to love unconditionally and get love and respect in return. Motherhood has made me a stronger person and has also given me the strength to set goals for my boys. It’s important for parents to set the right example for their children and I feel that I and husband are inching closer to its absolution each day. It is imperative that working moms should have ‘me’ time. So that’s my first advice. No matter how busy your work or household chores keep you, a working mother should take out sometime to indulge in activities or hobbies that matter to her. Remember, that in this hectic lifestyle peace of mind keeps you going. So meditate each day. Meditation keeps you balanced and positive. Do not live in the guilt of not being able to do enough. Try to do as much as you can, but do not over exhaust yourself. New dad's diaries: What if I were to be pregnant instead of my wife!